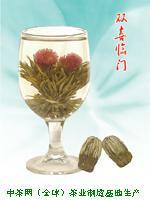 quality is excellent. 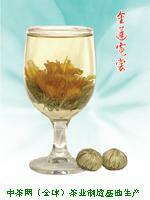 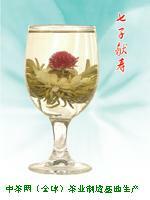 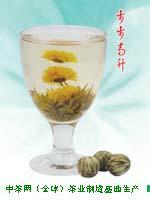 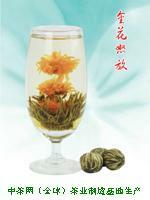 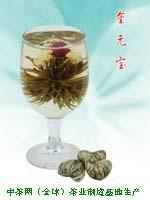 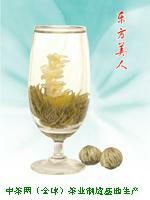 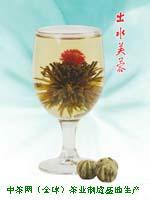 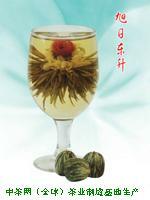 The Artistic Jasmine tea is not only a beverage with fragrant flavor, But also a piece of fine art. 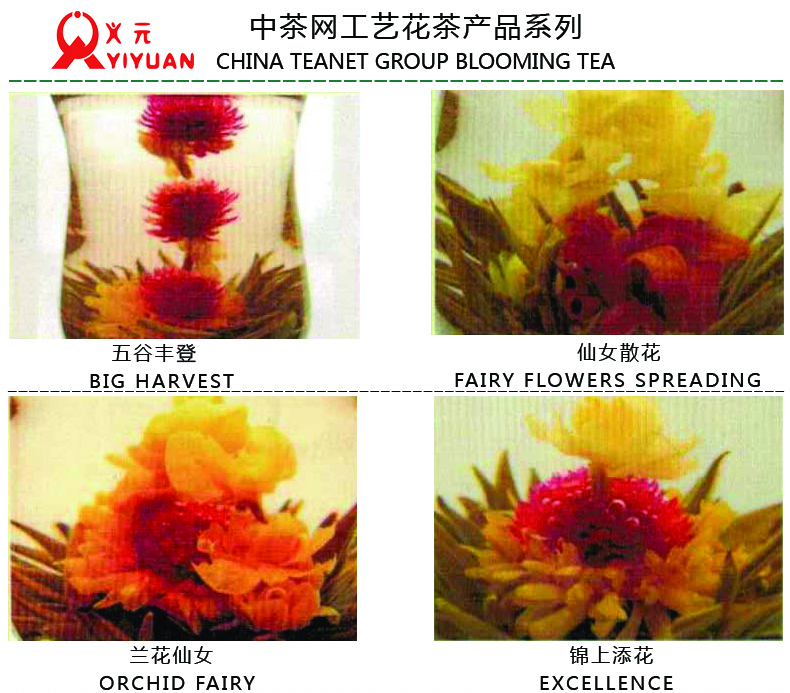 The fresh of dried flowers inside each piece are selected from various natural and edible flowers (jasmine, lily ,chrysanthemum etc ).As a result ,the artistic tea possesses a pleasant aromatic smell and still keeps the original flavor of the tea. 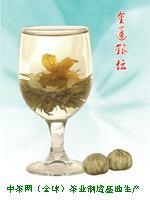 Jasmine flowers have their particular fragrance ,and are known for their specific benefits: beautify the face ,keep healthy ,clear the throat, and eliminate freckles and wrinkles on one's face. 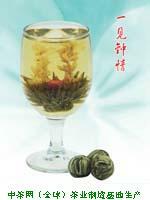 It also shares some other functions with ordinary tea. 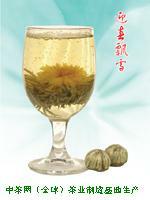 As it is full of amino acids.